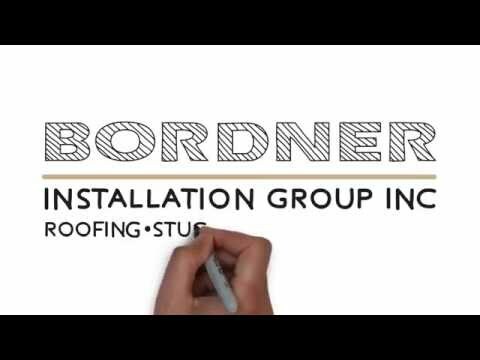 If you’re on the hunt for window installation experts, roofing contractors, or a bathroom remodeling company that can complete a project at your home in the Kansas City, Missouri, area, turn to the experts who do it all – Bordner® Installation Group. Since 1987, we’ve earned a reputation as one of the region’s most reputable home improvement companies by installing premium roofing, replacement windows, bathtubs, and more with a level of skill that only comes from paying close attention to details and decades of experience. But, that’s only part of why homeowners in Kansas City and the surrounding area recommend us to their neighbors time and again. We’re also known for going above and beyond to make sure our customers are happy with the progress of their renovation, every step of the way. The replacement windows we install are durable, customizable, and made by some of the top names in the industry, like Infinity and ProVia. With features like energy-efficient glass and an insulated double-pane system, they’ll help keep your house at a comfortable temperature and potentially yield significant energy savings. Plus, they’re available in a spectrum of colors and a variety of styles, so you can choose the perfect window for any room. Bordner® also installs a range of highly durable roofing materials that are built to last. You’ll be able to choose from gorgeous synthetic slate roofing, stone-coated steel roofing, sturdy concrete tiles, and asphalt shingles. We install new shingle roofs using our Fortress Roofing System, a meticulous application method designed to increase your roof’s durability. It’s an advantage that no other roofing contractors in the Kansas City, MO, area can offer. As for our bathroom remodeling services, we install replacement bathtubs and showers, perform tub and shower conversions, install walk-in tubs, and more. All of our bath enclosures are made of Luxsan® signature acrylic, a highly durable and low-maintenance material, and are totally customizable. At Bordner®, we’re proud to offer exterior door and home siding installation to our customers in Kansas City, MO, and nearby areas. We can replace damaged doors and siding with well-insulated, attractive upgrades that can improve your home’s energy efficiency as well as its appearance. The home siding materials we install – which include vinyl siding, fiber cement board siding, and faux stone siding. If you need a new exterior door, we’ll gladly install a premium fiberglass or steel entry door that has added insulation and a dual-perimeter seal that blocks drafts. We can even help control water flow by replacing your old gutters, and add gutter covers that will keep leaves and debris out of your gutters. That means you won’t have to clean them out regularly. Bordner’s experienced technicians install all of our products with considerable attention to detail so that they function optimally for years to come. For added peace of mind, we offer lifetime workmanship warranties on all installations. To learn more about the replacement windows, roofing, home siding, or other products and services Bordner® Installation Group offers, please contact our Kansas City, MO, office today. We’ve had more than 80,000 satisfied customers since we opened our doors, and we’re confident that once you hire us, you’ll understand why.